Two years after the release of his debut album Clivia Demo, Chattanooga rapper Isaiah Rashad has come out with his newest project, The Sun’s Tirade. The 25-year-old rapper was signed to Top Dawg Entertainment in 2013, the first rapper signed to that label from outside of California. Rashad had never even written a full song before his signing. Still, the rapper managed to put out a very enjoyable album filled with lyrics ranging from typical rap braggadocio to melancholy self-reflection. In his newest effort, Rashad continues to mesh together these themes skillfully while making very listenable tracks. 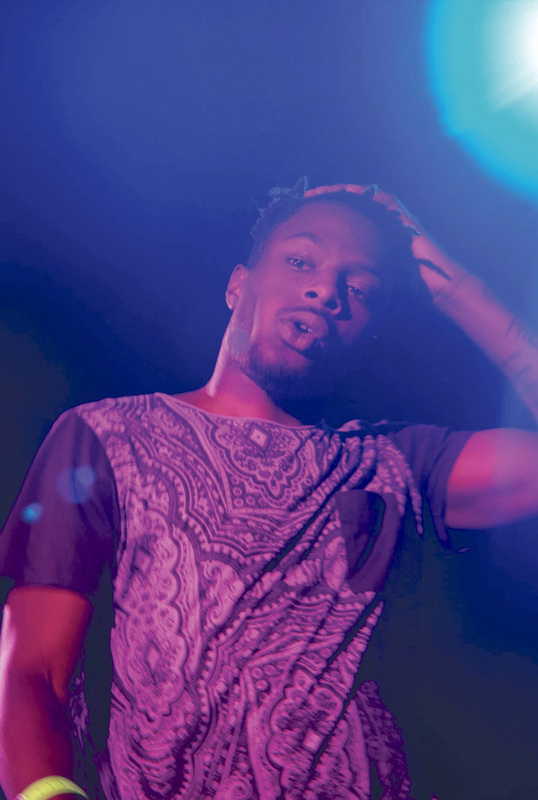 Rashad is one of the many artists in recent years who blur the line between hip-hop and R&B. Just like songs from his previous album, such as “West Savannah” and “Heavenly Father,” Rashad utilizes his singing voice to push the boundaries of his music. However, Rashad seems to be exploring new territory at some points. The song “Silkk da Shocka” features The Internet’s lead singer Syd performing backup vocals very similar to SZA’s on “West Savannah.” Of course, The Sun’s Tirade is not simply Cilvia Demo remade. The song “Rope“ features a groovy bassline reminiscent of R&B from the ‘60s and ‘70s, showing that Rashad is trying to break more barriers with his music. Just like in Clivia Demo, Rashad is not afraid to explore the more difficult aspects of his life in his lyrics. In his songs, Rashad has often spoken of his struggles with depression and drug addiction. In interviews, Rashad has talked about how his alcoholism had at times gotten to the point where it became a hindrance to him making music. In the song “Dressed Like Rappers,” he speaks about relying on drugs while away from his children: “Saw my son, miss my daughter/ Real life, what does it feel like?/ I got my pills on, know I’m real numb.” Rashad also seems to give listeners a look into his own world and how the people around him react to his issues. The album starts with a skit where a friend of Rashad (played by the co-president of his label, Dave Free) demands that Rashad release his album immediately and questions whether he cares about his fans. While the album seems to have been somewhat overshadowed by Travis Scott’s star-studded project released on the same day, Rashad’s newest effort contains several exceptional songs. One of the album’s standout tracks is ‘Free Lunch,” a song with an incredibly catchy hook where Rashad raps about selling drugs from his brother’s perspective. “4r Da Squaw” manages to mix Rashad’s emotional tendencies and chilled-out vibes perfectly, as he raps about giving advice to his young son from his own experiences with alcoholism. The song “Wat’s Wrong” features a show-stealing verse from Rashad’s Top Dawg Entertainment label-mate Kendrick Lamar. “Brenda” features laid-back horns that complement Rashad’s voice perfectly. The Sun’s Tirade is a great album, showing Rashad incorporating many of the elements that made Clivia Demo so successful while also trying to move forward stylistically. Though the album dragged on a little long, Rashad is a talented artist making songs that are at times incredibly smooth, at times emotionally captivating, and sometimes both. If you’re a fan of catchy melodies and strong, poignant lyricism over jazzy instrumentals, The Sun’s Tirade is an album you should check out.